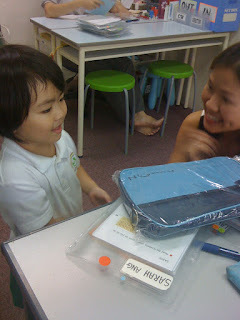 we started the kumon journey a little more then a month ago. you seem to enjoy it. pap & i can see that you have already benefitted from the coaching at the centre. let's hope that your interest will continue ... we tried to resist spending time at those nice little ice-cream places while we are there. 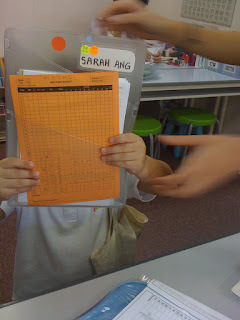 I am certain you will see Sarah continue her love of learning through the Kumon program.